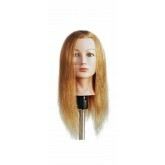 Blonde long-hair mannequin, great for coloring, cutting and updos, includes mannequin holder! 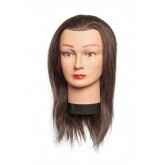 Mannequin head with coarse black hair. Ideal for texture classes. 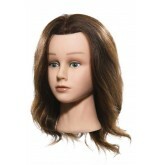 Light Brown long-haired mannequin, 18". Great for coloring and cutting. Includes mannequin holder. 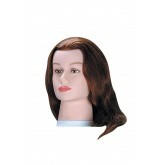 Standard female mannequin with 100% human hair. 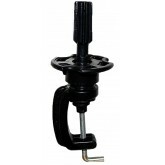 Fits all standard mannequin holders. 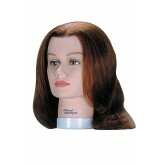 Deluxe female mannequin with European-texture extra-long human hair. 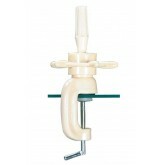 Fits all standard mannequin holders. 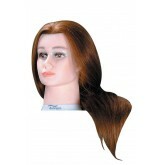 Deluxe female mannequin with European-texture100% human hair. 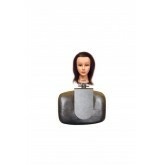 Hand implantation in the actual human hair growth pattern permits hair designs with forward styling and bangs. Fits all standard mannequin holders. 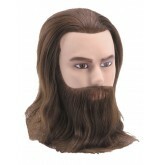 Deluxe male mannequin with European-texture hair, beard and moustache. 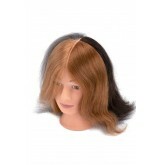 The angle of the 100% human hair provides more natural results. 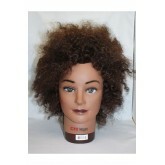 Great student mannequin for taper or clipper cutting. 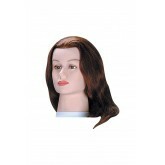 Female mannequin head with soft 100% human hair. 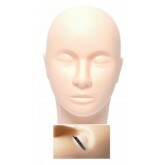 This mannequin head is ideal for layered cuts. 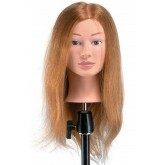 Hair responds well to coloring, cutting, setting, blow drying and curling. Attractive face with full make up. 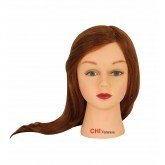 Fromm Female Mannequin Charlize 20-22"
Top quality hair for accurate and vibrant color and bleach results; implantation mimics natural random growth pattern; flexible ears for true-to-life cutting experience; eyelashes add esthetic value. 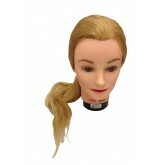 "18-20” blonde 100% human hair; 20½” head." 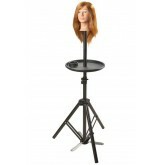 Fromm Female Mannequin Giselle 18-20"
Fromm Male Mannequin Aiden 16-18"
Mannequin holder for use with chairbacks. 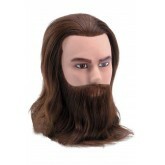 Mannequin head not included. 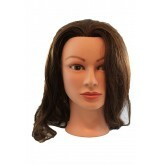 Marianna Female Mannequin Ms. Suzie-kin 20"
100% human hair mannequin can be use with clamp. Great for coloring, cutting, roller sets and layering. 18-20" hair length. Hair color level 4. 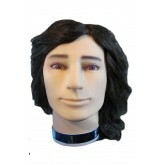 Mannequin head with 100% human hair at a length of 18-20". Color level 4. 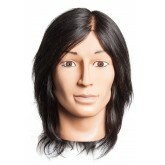 Mannequin head with 100% human hair at a length of 18” - 20". Full beard and moustache. Color level 4. 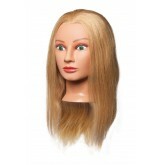 Marianna Ms. Barbara Blonde Mannequin 24"
Mannequin head 100% human hair blonde level 7 color. 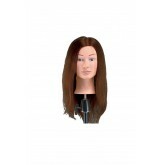 22-24" hair great for coloring, cutting roller sets blow-drying and curling.